Business intelligence refers to various techniques and tools used to turn your business data into useful information for analysing your performance. Public companies and many other large businesses have a CEO. The CEO has executives and managers under him or herself who are focused on various areas of the business – marketing, sales, products, HR etc. The CEO’s role is to meet with the team regularly and to ask probing questions – perhaps about costings, savings, project feasibility, employment levels, debt collection, risk, forecasts and cashflow, and many others. Being a smaller business owner can be a lonely affair. There are no executives or managers to bounce ideas around, and many owners are so busy in the business that the probing questions are never asked. 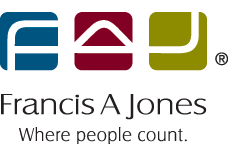 Francis A Jones can provide you with constructive business intelligence by acting as your virtual CEO – and this could be as simple as a monthly or quarterly meeting. The first step towards getting valuable business intelligence is to ensure you have accurate and timely data, because the information that comes out of your system will only be as good as the information that goes in. The best way to safeguard the integrity of your accounting data is to engage the FAJ bookkeeping team. 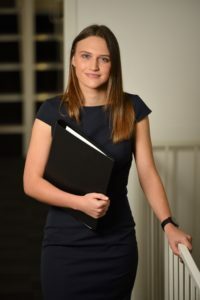 From here our team of CPA qualified accountants can prepare regular reports, and meet with you and your management team on a regular basis so that you get the maximum value out of your accounting system, and use this intelligence effectively to better your business. If you’re spending too much time in the business, our business intelligence services will help you to work on the business.